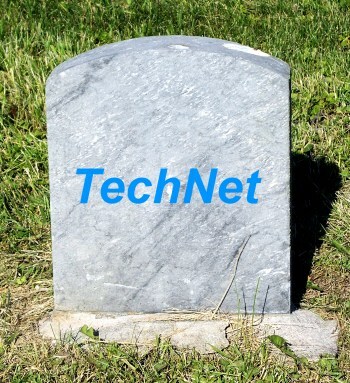 Last week Microsoft announced that they will be retiring their TechNet Subscriptions service. This is very disappointing and will profoundly affect myself and many others. TechNet is also a source for current software (again, for development and evaluation purposes). All the virtual machines I use for my lab environment run software I’ve obtained through TechNet. Back in school I didn’t have the funds to buy SQL Server 2000 or Windows Server 2000, but I have a VM running them now thanks to TechNet. I’ll be able to renew my subscription for another year, but this time next year I’ll be out of luck. The “replacements” Microsoft recommends are the existing free trial versions (with the reinstalls every 240 days) or of course, subscribing to MSDN. I have a sneaking suspicion that converting TechNet subscribers to MSDN is the real reason for the demise of TechNet Subscriptions. Coming in a close second is probably abuse of licensing privileges. Software provided by TechNet Subscription Service is for testing and evaluation only, but I’m sure plenty of people installed stuff on all their personal or business computers and didn’t think twice. It’s very unfortunate for the rest of us who were using it for its intended purpose. I’m not going to claim to know all the ins and outs of MSDN. I know that they at least offer all the downloads TechNet does, and I’m guessing there’s many additional features as well, since they seem to charge so much more for it. From what I can see, a “MSDN Operating Systems” subscription goes for $699 ($499 annually after that). But that only includes operating systems. To get SQL Server, I’d need “Visual Studio Professional with MSDN”, which costs $1199 ($799 annually to renew). For professionals and businesses, MSDN is a great value, but it’s definitely priced out of the range of enthusiasts like myself. TechNet seemed reasonable to me, but my budget can’t handle paying more than twice that for MSDN, so I guess I’ll just be using the trial versions and periodically reinstalling my lab VMs. You just lost my money, Microsoft, and unfortunately I’ll lose a bunch of my time. It’s a shame for both of us. Yes, again. This isn’t the first time I’ve associated with an entity named TechNet that has come to an untimely end. Back in high school, some friends and I started a technology club that we named “Technet”, completely oblivious to the fact that Microsoft created their TechNet a year earlier. In addition to discussing computers and internet-related topics, we were also responsible for designing the school’s website. We spent lots of time in Netscape Composer cranking out a site that is now a testament to either how far web design has come in the past 13 years, or how terrible we were at HTML. I’m guessing a little of both. If you want to see what 16-year-old me and my buddies came up with, check it out on The Wayback Machine. Technet met its demise when we graduated and school IT staff took over the site. I renewed my TechNet subscription a few days before Microsoft made their announcement. Now I’m hoping that all the new software they just announced will be included before it expires. Like you I’ve used it to create virtual environments for testing. TechNet has been a huge reason for any success I’ve seen in my career. Oh, I had no idea. That’s pretty sad, honestly. I didn’t pay for TechNet, I just relied on the free evaluations – rebuilding things every so often is an okay trade-off in my book. Though I’m guessing I’ll start to hear “Well if you’re a serious professional, you’ll just pay for MSDN…” a lot more often now. I should have just stuck with the free trials – I’d have nothing to complain about then (and would have saved a few bucks too). Oh well. It was great while it lasted. Thanks for reading, Matt! 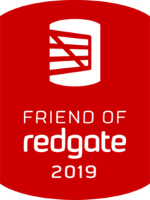 Verifying File Copy/Move Operations With Microsoft File Checksum Integrity Verifier Proud To Be A 2015 Friend of Red Gate!